Classes as low as $60 per term for one hour-class a week, $165 for a 3-term package plus a free class, $90 per term for two hour-classes a week, $90 per term for one 1.5 hour-classes a week, $110 per term for three hour-classes a week, $18 for a single hour-class, $30 per 1/2 hour for a private lesson. Ask about family discounts. A 10% discount if offered for more than one dancer in the same family. Tuition is non-refundable. Students will not be refunded for missed classes. Tuition is due by the 1st class of each term. A late fee of $10 will be charged to the term tuition if it has not been paid by the 2nd class of the term. Payments are made by cash or check. We do NOT accept credit cards. There is a $25 fee for non-sufficient funds (NSF) or returned checks. All checks are to be made to: Victoria’s School of Dance and Rhythm. Spring Recital – June 9, 2019. Summer classes begin Monday, June 17, 2019. Look for our Summer class lineup in late Spring. 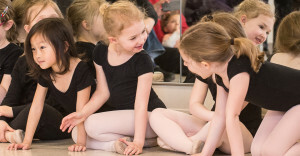 Studio space rental, birthday parties with dance instruction, and wedding choreography are available. To learn more about these services, contact: vchughey@aol.com or call 412-901-8544 .